Heading off on summer holiday? Here’s a list of 10 great Dutch reads in translation to take with you. 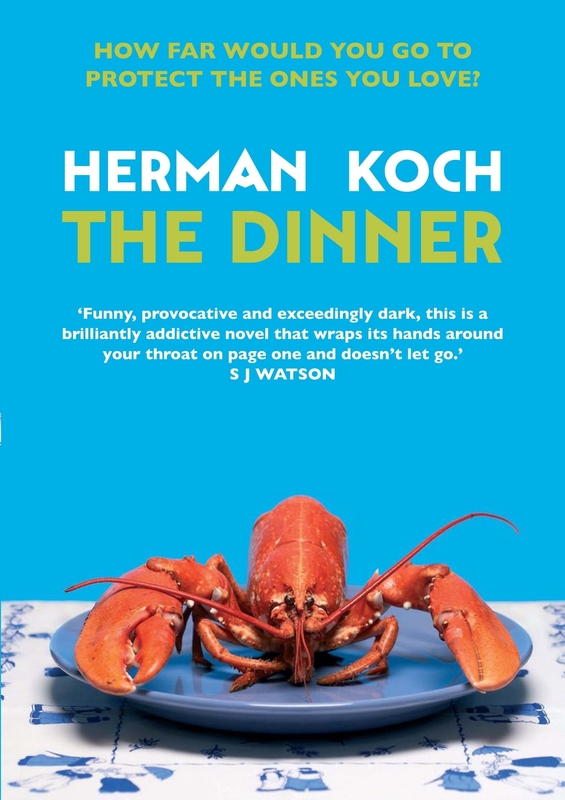 Novelist Herman Koch’s fifth novel takes place in a well-known Amsterdam restaurant (a thinly disguised De Kas) popular with the upwardly mobile. Two brothers and their wives meet for dinner and as the evening wears on some very unsavoury truths emerge. The narrator is disillusioned and deeply cynical former teacher Paul. Although he and his wife Claire seem to enjoy a happy home life, free from the hypocrisy he lays at his politician brother’s door, it transpires that his son has committed a disgusting and cold-blooded crime. Paul may have mislaid his moral compass but his vicious comments on middle-class tastes are right on target. The book, which won the 2005 Literatuurprijs, follows Hans, a father and gardener who becomes more and more obsessed with Calvinism as the story progresses. Set in several parts of the Netherlands, the book does a wonderful job of depicting the Dutch countryside and living conditions of the time. Siebelink develops interesting characters whose stories you genuinely become involved in. This book is truly about ‘life, the universe and everything’ and consequently the plot of the Discovery of Heaven is far too convoluted to explain in a few lines. But here goes: God has decided to break his contract with mankind and wants his tablets back, seeing that no one lives by them. Two of his angels are given the task of manipulating earthly circumstances which results in the birth of a boy who is destined to bring back the tablets. We are told about the events that shape the lives of the people involved and their own attempts at coming to grips with destiny. The Evenings, Reve’s ( he dropped the Van ‘t later) first novel, was published in 1947. It chronicles ten days in the life of 23 year-old Frits Egters which also happen to be the last ten days of the year 1946. Frits works in an office, lives with his parents and finds both frustrating. Frits’ encounters with friends and family show his unerring and merciless eye for the desolate minutiae of life: the decay that comes with passing time – a friend is going prematurely bald – , the dreary lives of his parents and his own less than promising future. A book that makes you laugh and cringe at the same time. Max Havelaar is a civil servant in the Dutch East Indies who, appalled at the cruelty and corruption of Dutch colonial rule, writes an inflammatory book about what he has witnessed. The manuscript makes its way to pompous coffee trader Droogstoppel who, wrong-footed by the title, promises to publish it. Multatuli ( pseudonym for Edward Douwes Dekker), like his protagonist, was a civil servant in the East Indies. His book is said to have hastened the demise of colonialism. Max Havelaar lives on in a 21st century fair trade food label. Another Dutch WWII classic. Hermans’ novel tells the story a man whose double/alter ego encourages him to get involved in anti-German activities during the second World War. When the war is over he is branded a war criminal. His double, the only one who can clear his name, fails to materialise, convincing his prosecutors that he is a figment of his imagination. To Hermans’ dismay critics tended to believe the same. Okay, we can’t choose here. Many of writer and illustrator Marten Toonder’s Oliver B. Bumble stories have been translated into English. Bumble is a great comic character. A ‘gentleman of means’, he is always aspiring to greatness but never seems to quite get there in spite of the help of his friend Tom Puss. Very funny, and great drawings. Van der Heijden’s requiem novel about the death of his son. The rights of this novel were bought by publisher Scribe and it should soon be published in English. The story of ambitious and straight-laced Rudolf Kerkhoven who becomes a tea planter in the Dutch East Indies. Haasse based her documentary novel on documents and letters from the relatives of the characters. Here’s what the Guardian critic said about it: ‘ Realising her characters were once flesh and blood made me feel I had read the most humane sort of biography, in which the writer inhabits every emotional recess and significance’. Novel about the deposition of the Shah and the return of Khomeini and the political division that grips Iran seen through the eyes of the Aqa Jaan family. Abdolah, who fled Iran and was given political asylum in the Netherlands in 1988, wrote the book in Dutch. This list was first published on website Netherlands by Numbers.